Advance Auto Parts Monster Jam Brought To You By Ford Trucks This Weekend! It's Giveaway Time! Advance Auto Parts Monster Jam Brought To You By Ford Trucks This Weekend! It&apos;s Giveaway Time! Hey there folks! Jerm here with an update for you on a great Tampa Bay Sports event that is coming back to Raymond James Stadium this Saturday! 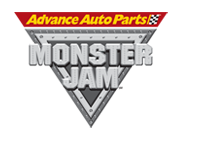 Now of course, along with giving you the info on the Advance Auto Parts Monster Jam®, I am also gonna be hooking you up with a chance to be there in person on February 5, 2011 at 7 p.m.! Excaliber driven by Chris Lagana, and Bad Habit driven by Joe Sylvester! As always, instead of re-tweeting, just answer the trivia question(s) on Twitter or on Facebook to have a chance to win. Answers placed in the comments section of this blog will not count. Unfortunately, once again we only have one set of tickets to giveaway today so we will combine the entries from Facebook and Twitter and pull the winner that way. Driver of the Lucas Oil Crusader℠, Linsey Weenk was born in this Canadian City? True or False: Grave Digger Driver Dennis Anderson&apos;s favorite movie is "Cast Away" starring Tom Hanks? This mother of two and Las Vegas native, is currently one of the only female drivers featured on the USHRA Monster Truck circuit? Okay guys! Think I got you stumped today! Prove me wrong, and we&apos;ll be sending you to the show! Check back tonight around 6pm when we announce the winners, and stay tuned for more updates on Tampa Bay area events!